Are you always finding yourself in a vast sea of tasks that are threatening to drive you to insanity in trying to complete them all? Or perhaps you are usually having problems in keeping up with deadlines? 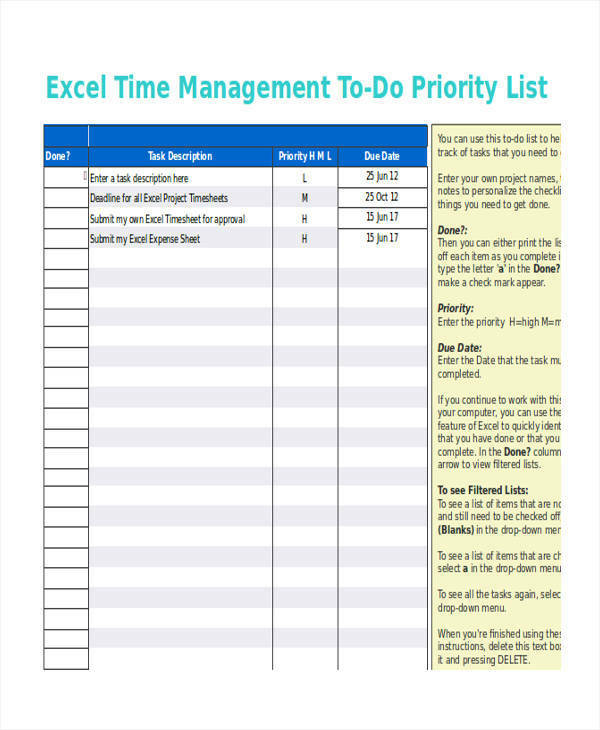 The usage of an effective task list can greatly help you in saving the time and effort spent in unnecessary confusion and worry.When you are preparing a task list, it is important that you are in the right mind-set and that you know which tasks you need to incorporate in your list. 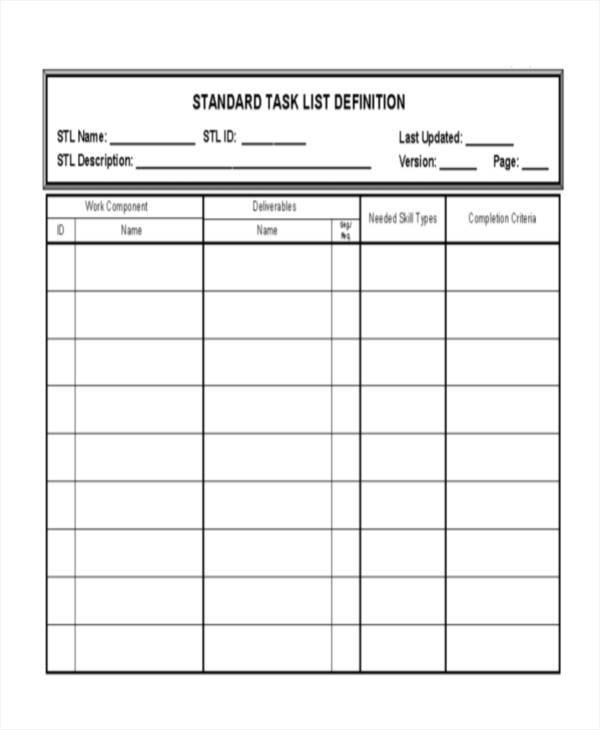 For a better understanding on how to properly create effective task lists, you may refer to our to-do list templates on this page. 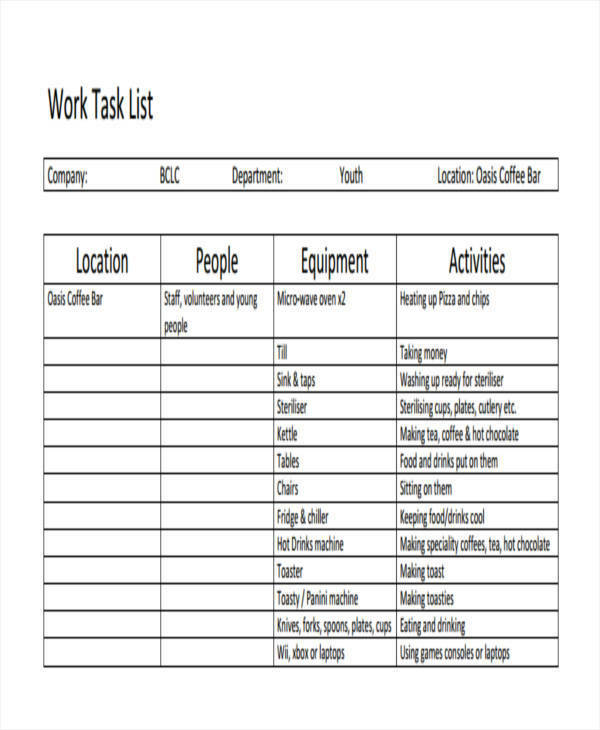 We also have a myriad of other types of task list and list templates elements, the varying ways you can arrange your tasks, etc. 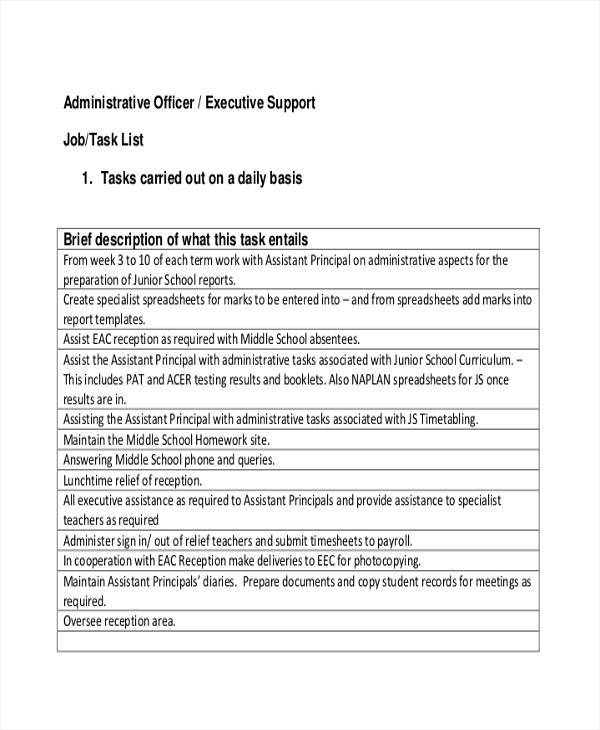 What Is a Task List? 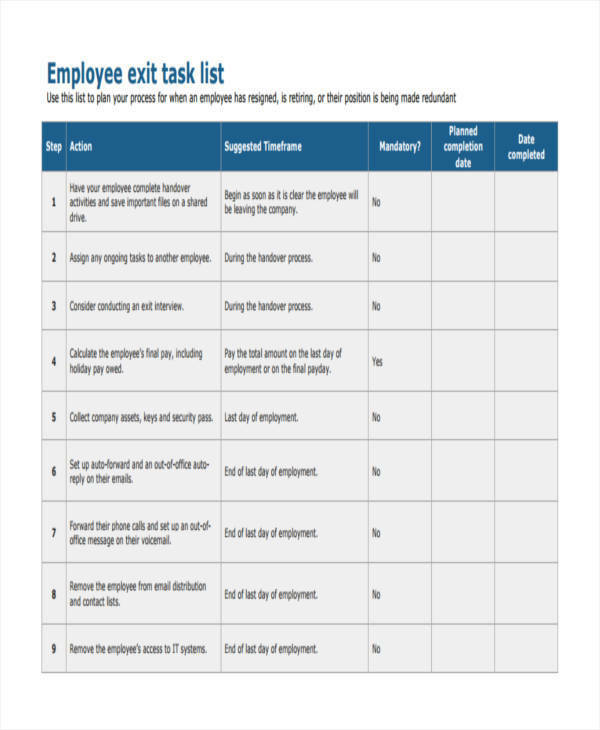 A task list contains a successive enumeration of tasks that must be completed at a specific time or date. 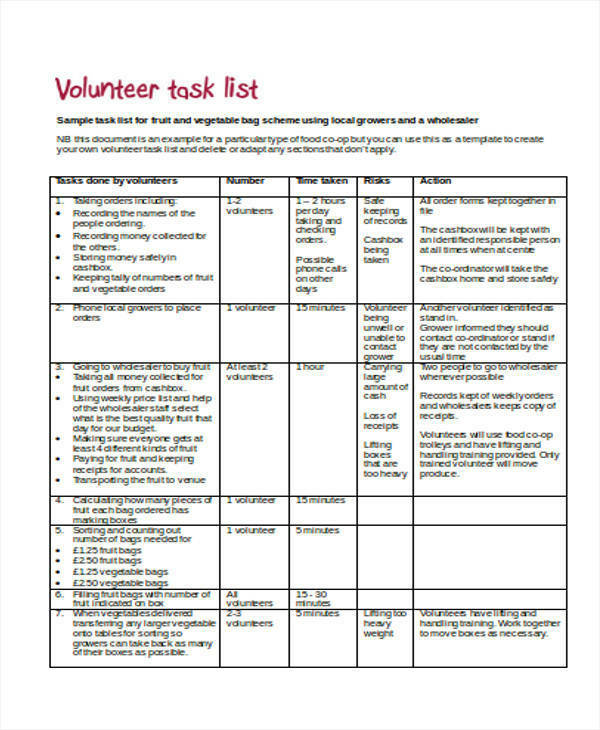 A task list can contain varied forms. 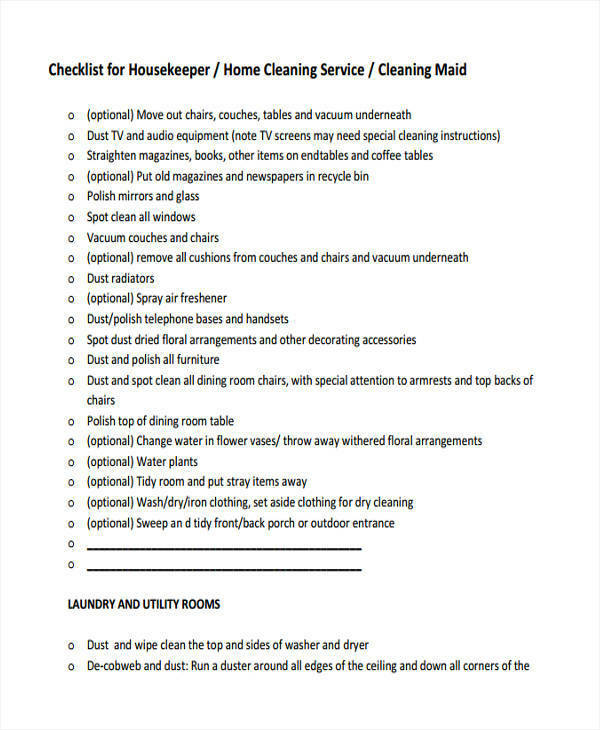 It may also be formatted or organized in different manners depending on the complexity of the tasks being listed. What Is the Importance of Task Lists? 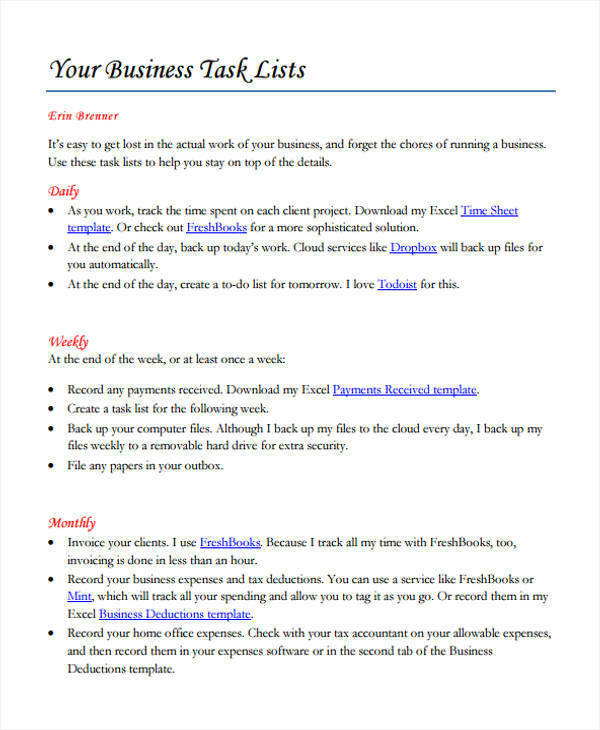 A task list is useful to business owners when they are formulating business strategies that can help their business achieve its financial goals. 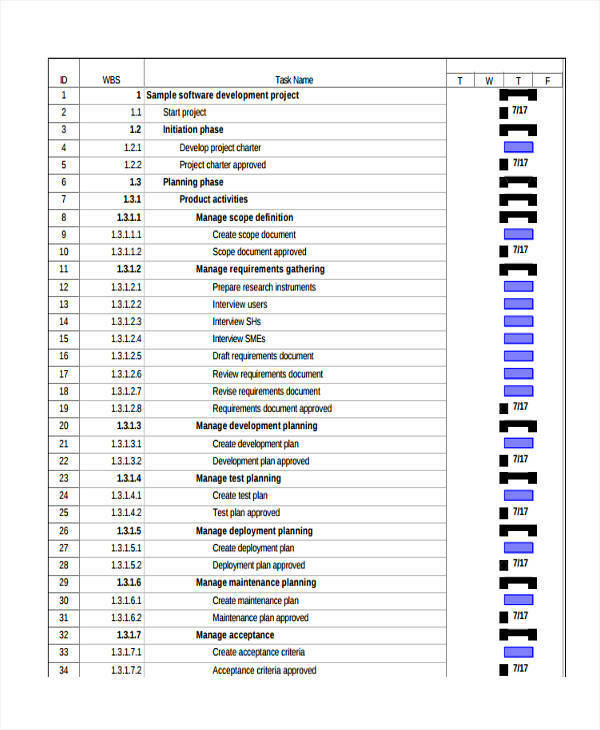 A task list is also used by project managers so that they would not be overwhelmed by the number of tasks that they still have to accomplish in order to complete their project. 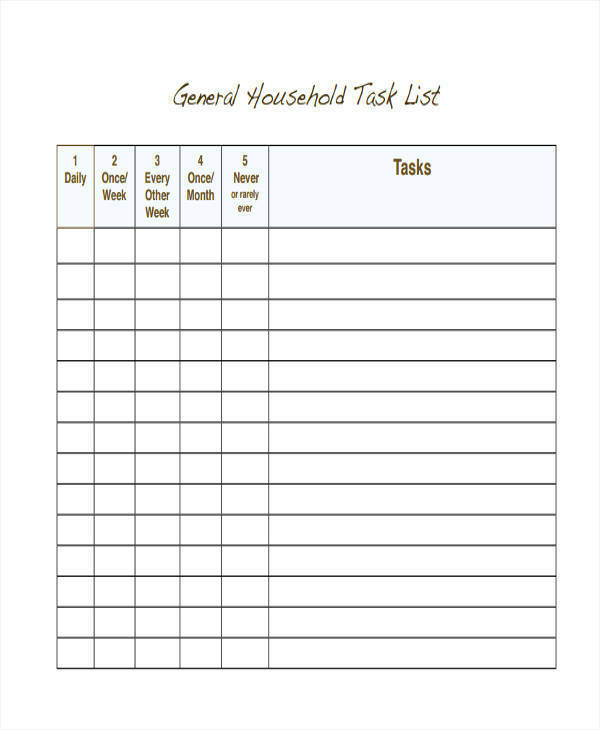 A task list can also be of great help for an entity to budget their finances. In this day and age, almost everything we do entails expenses. That is why, if you can see the entire picture of the tasks that you need to do, it will be easier for you to foresee the costs per task. A task list can help you stay focused on your tasks and can aid one in executing all the tasks successively without unnecessary interruption. This is so because the act of ticking off tasks from a task list can create a feeling of satisfaction that can motivate you to move forward with the rest of the items on your list. 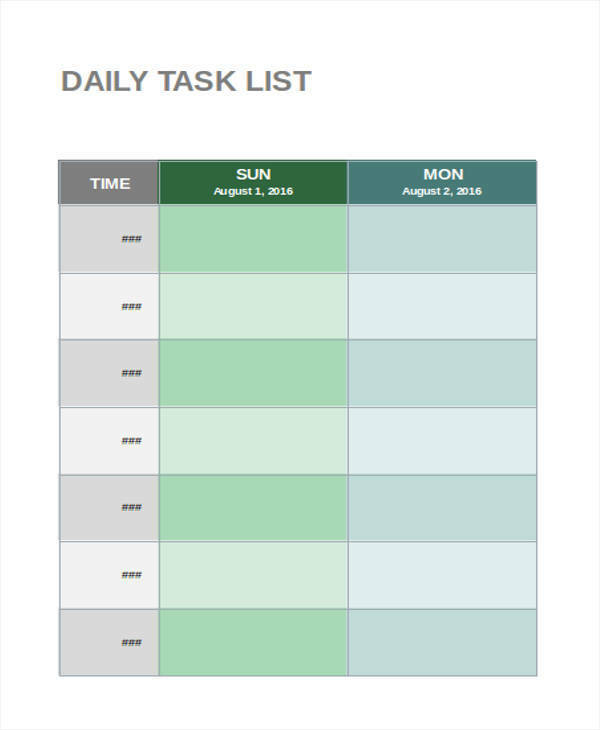 To obtain a more profound understanding of the benefits of using task lists, it would be of great help to you if you refer to a variety of task list templates that can show you the specifics of task lists and how it is formatted. 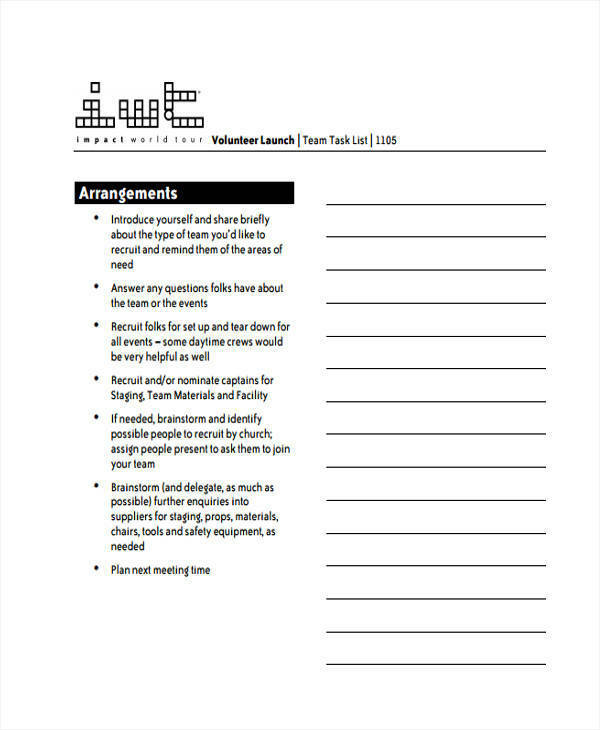 For references, check out our templates on this page. 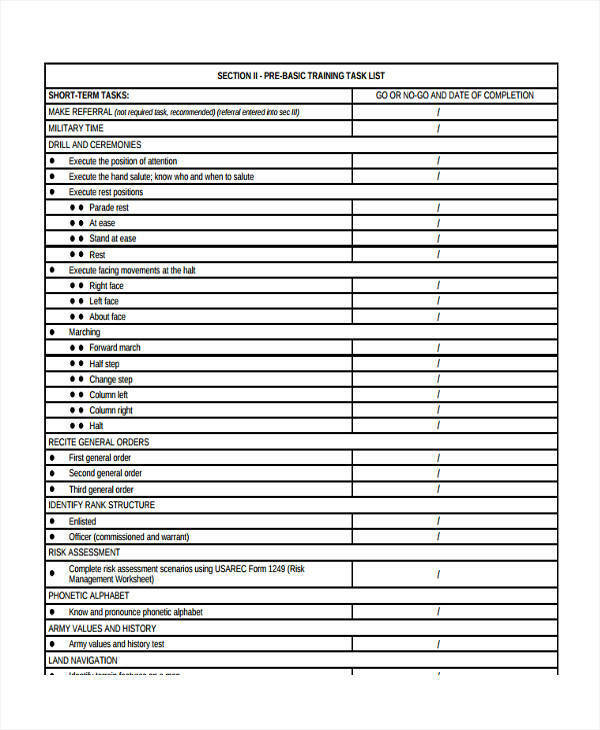 We also have other task list samples such as the packing list sample templates that are available for download. 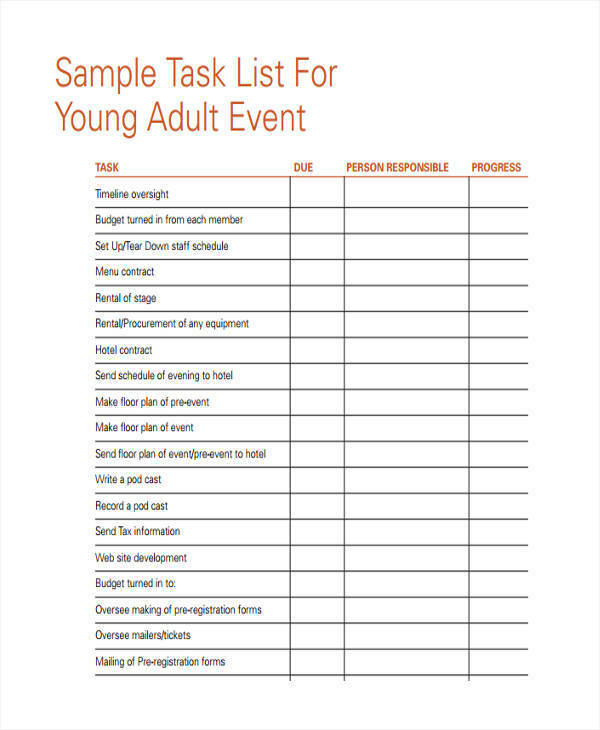 Know the purpose for making a task list. 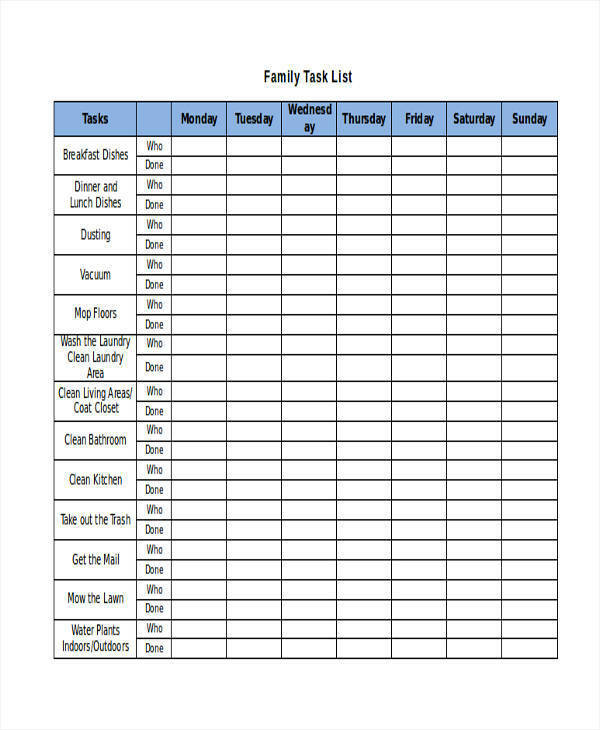 Write a draft of your task list. 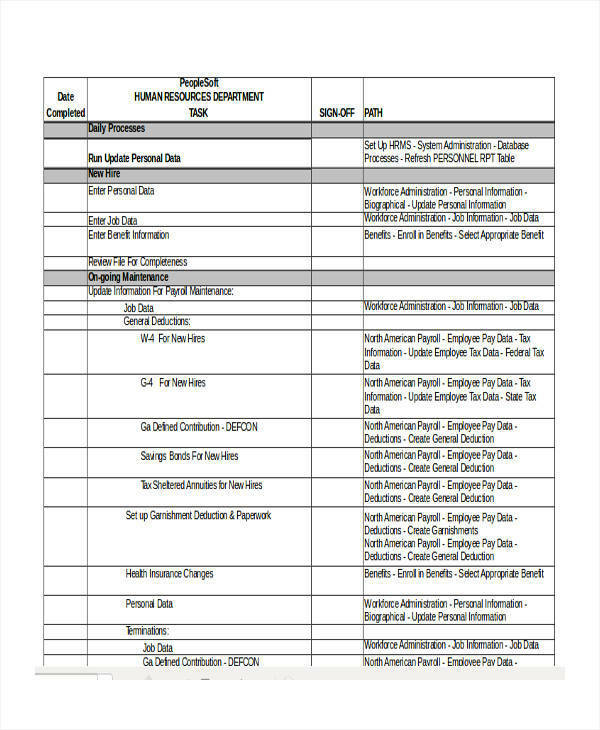 Analyze the draft that you have made and arrange the items according to priority, date of deadline or completion, scope, and other important factors. 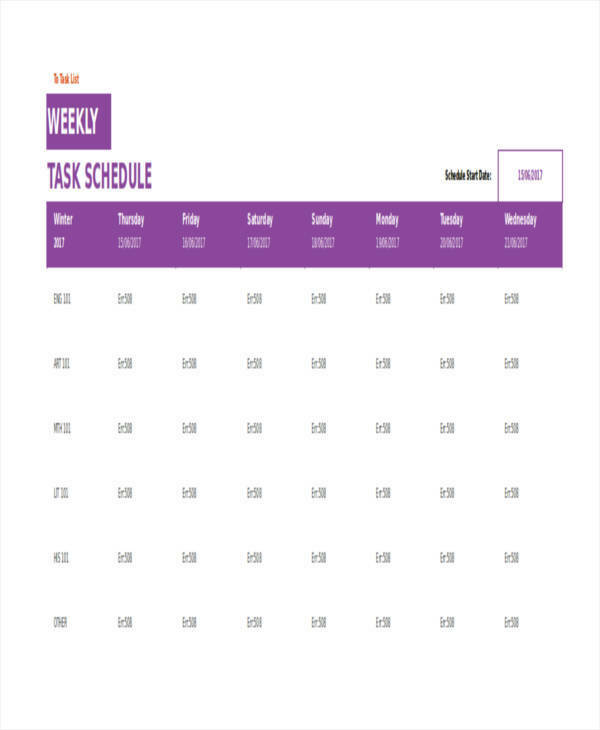 Check some templates beforehand to have an idea on how to arrange your tasks. 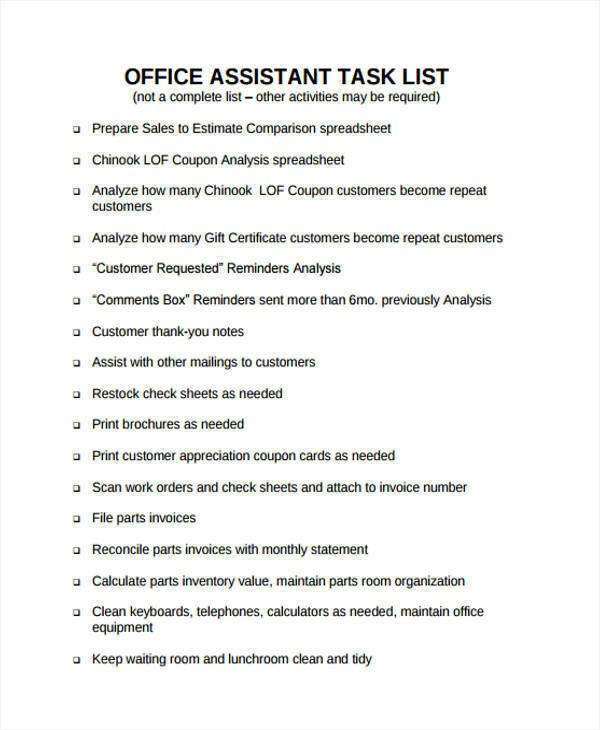 For your convenience, we provide you with a variety of task list samples in PDF that you may download easily. Start by writing the label on the topmost part of your task list. 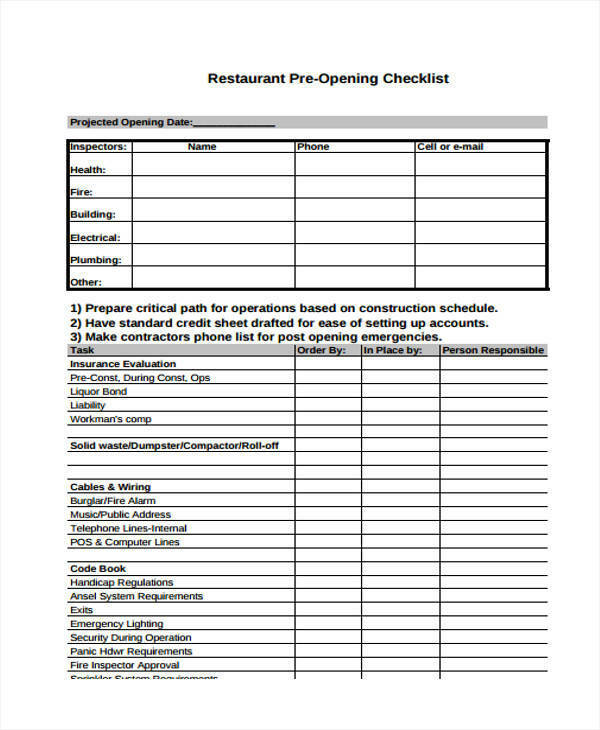 Write down additional information that are necessary for the execution of your tasks. 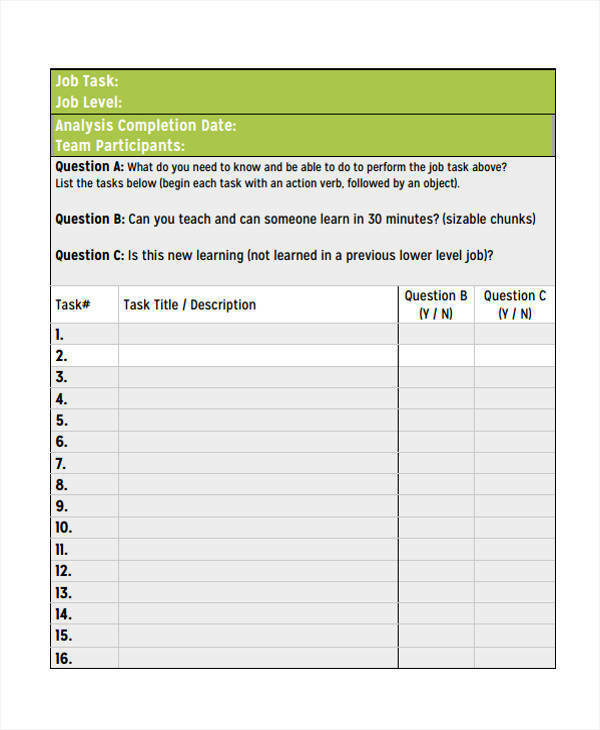 Do refer to a proper task list template before creating your own. 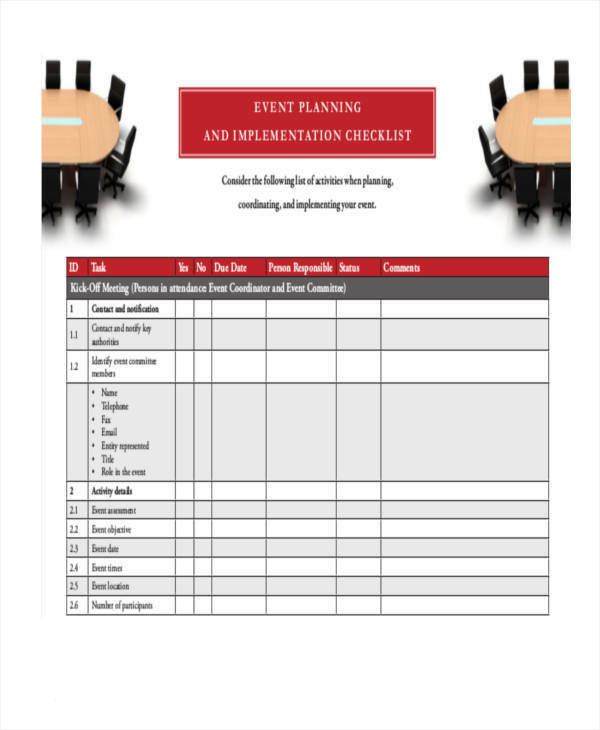 You must check out those templates that suit your needs. 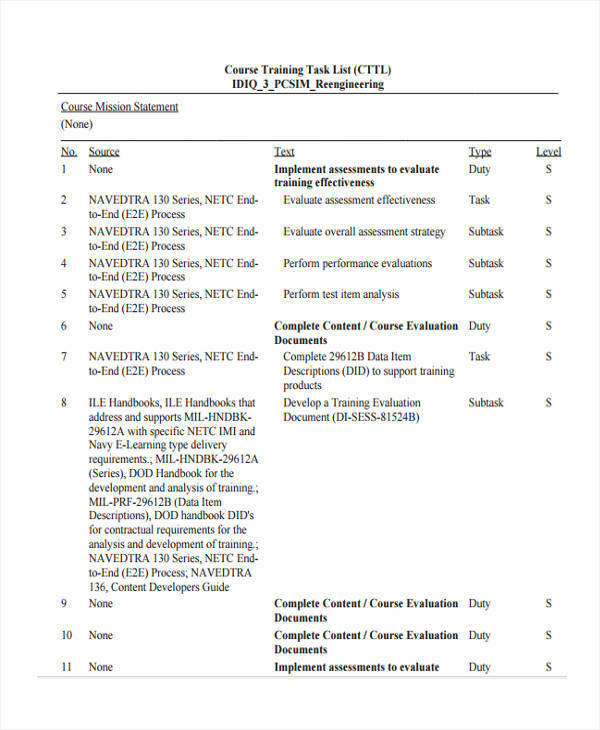 You may use our collections of task list samples and project task list templates. Always be time-conscious when writing your task list. Designate a deadline for each task that is feasible and realistic. By realistic, this means that you add a little extra amount of time for each task that serves as your cushion in case you would encounter some hindrances in performing it. Be practical when adjusting the costs for each task. Label your task list properly so you would find it easier to recognize it. Always prioritize tasks that can largely affect your organization, your company, or your personal goals. When determining which tasks must be prioritized above others, use the valuing system that is in line with your vision or goal. 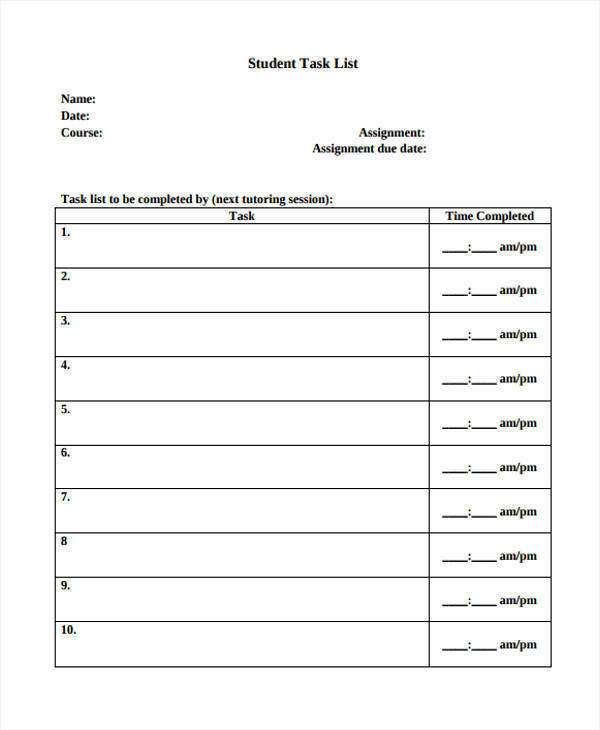 By due date: This format contains an enumeration of task list based on the urgency of its deadline. 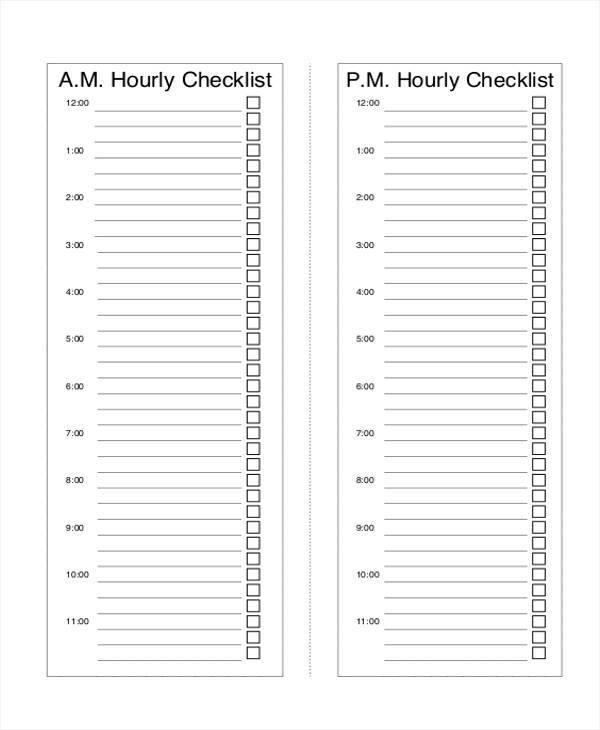 By importance: In this format, tasks are arranged according to its importance. When determining which task is more important, you have to think about the scope of the impact should you decide to delay its performance or completion.